The CAM Project leverages ongoing initiatives of three key partners, UMass Lowell's Climate Change Initiative, Media Arts Studio at Cambridge Educational Access TV, and TERC, to build an innovative climate change education program that reaches high school teachers and students and university students, as well as their broader communities. Online resources and evaluation are provided by our partners, SERC and Sage Fox Consulting Group, respectively. The UMass Lowell Climate Change Initiative coordinates the broad and cross-cutting expertise and interest in the science and policy of climate change and clean energy at UMass Lowell. The Climate Change Initiative's mission is to raise the awareness and understanding of climate change science and solutions among UMass Lowell faculty, staff, and students, and the broader community they serve. The Initiative combines many of UMass Lowell's traditional strengths, including environmental science, atmospheric science, engineering, work environment, health, service learning, and others, and is currently developing new curriculum and academic programs in the areas of climate change science and policy. The Cambridge Educational Access TV (CEATV) Media Arts Studio is a state-of-the-art facility of the Cambridge Public Schools (CPS). CEATV provides media art education programs and oversees programming and bulletin board services for two educational access cable channels, Smart TV98 and CPS TV99 and broadcasting to 44,000 households in Cambridge. CEATV is unique in its emphasis on programming with student-produced work. TERC, an educational non-profit, based in Cambridge, MA, is internationally regarded for its educational innovations in science, math, engineering and technology. Led by a group of experienced forward-thinking math and science professionals, TERC is a non-profit independent research-based organization dedicated to engaging and inspiring all students through stimulating curricula and programs designed to develop the knowledge and skills they need to ask questions, solve problems, and expand their opportunities. With a staff of over 110, it has special expertise in Earth and space science education, featuring inquiry-based learning, Earth as a dynamic, integrated system, and extensive use of visualizations. We invite you to join the CAM community! 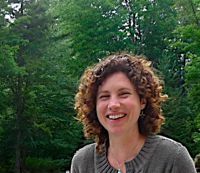 Juliette Rooney-Varga is Director of the UMass Lowell Climate Change Initiative and an Associate Professor of Environmental Biology. 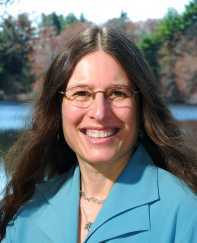 Rooney-Varga's research has been supported by the National Science Foundation, NOAA, MIT-Sea Grant, Sigma Xi, the Massachusetts Water Resources Research Center, and UMass Lowell. Rooney-Varga's research has lead her to study both climate change impacts and solutions. For example, she has analyzed microbes that naturally occur in Arctic peatlands and are responsible for the production of methane, a potent heat-trapping gas. As the Arctic warms, methane production is expected to increase, forming an important climate change-carbon cycle feedback that could amplify global warming. She is also studying microorganisms that can generate electricity from organic matter in soil, which can be used as a renewable energy source or to mitigate greenhouse gas emissions from organic wastes. Science background: PhD in meteorology, 15 scientific research in climate science and Earth system science. Focus of research the cryopsphere and its impact on atmosphere-surface energy exchange and the implications of that for global climate. I used a global energy balance model to conduct these studies. Educational experience: I have taught undergraduate and graduate students. I was also the lead editor and an author of the Earth as a System Investigation of the GLOBE Teachers guide. I have done a lot of work to bridge the scientific and educational communities to make Earth science data accessible and usable in educational contexts. I have also worked to help scientists define a part of their research program that could meaningfully be conducted by high school students. Kenneth Rath, Ph.D., CAM Project Evaluator, Sage Fox, Inc.
Kenneth Rath, has been involved in educational evaluation since 1999. He began working with the Online Web-based Learning (OWL) system while still in graduate school at the University of Massachusetts Amherst, and has worked on a wide variety of projects since that time. 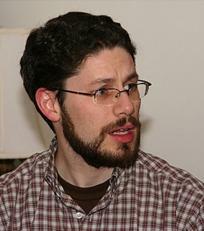 After receiving his Ph.D. in Educational Psychology in 2002, he worked in a postdoctoral position as the resident evaluator for UMass Amherst's Center for Computer-Based Instructional Technology (CCBIT) before officially moving to Peterfreund Associates in 2003. Prior to pursuing a degree in psychology, he majored in Chemistry at Rensselaer Polytechnic Institute, where he received his B.S. His dissertation research involved the cognitive processes associated with reading disabilities among children. Since beginning in the field of educational evaluation, Ken has been involved in over 50 projects, ranging from broad programs dedicated to helping underrepresented minority students succeed in the sciences to specific interventions designed to improve learning of particular topics. To date, most of his work has been with postsecondary, domestic programs. When not working for SageFox, Ken is an amateur writer of fantasy fiction, a religious education teacher, and pursues an active interest in religion, ancient, medieval, and natural history, and the Latin language. He lives in Amherst, MA with his wife Rosemary, his daughter Meara, and a yet-to-be named baby on the way. Elizabeth Adams, Masters student and NASA Summer Intern for YEP! program. Devan Hawkins, undergraduate student, video editor, web design assistant, and NASA Summer Intern for YEP! program. Cecelia Hunt, Masters student working on evaluating learning outcomes from simulation role playing games, such as World Climate. Paul Yan, undergraduate student and NASA Summer Intern for YEP! program.